Your child's new doctor's office pal. 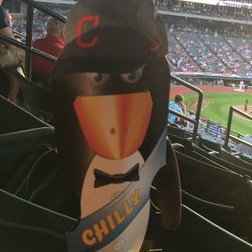 Say hi to Chilly, the Pain Ease mascot. 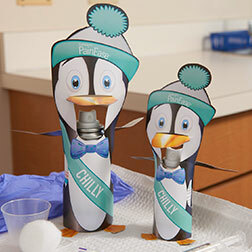 He’s here to help make the doctor’s office a friendlier place. No one enjoys going to the doctor, and for children it can be especially upsetting. 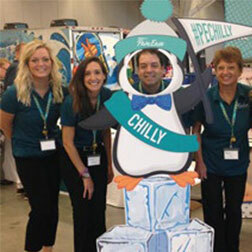 Pain Ease and Chilly the Penguin can help make the visit a little less scary and a whole lot cooler. 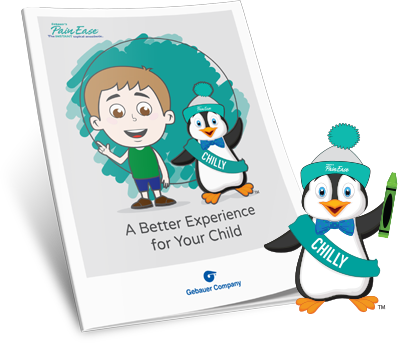 Learn more about Chilly and see how he can help your child feel more relaxed at the doctor’s office. 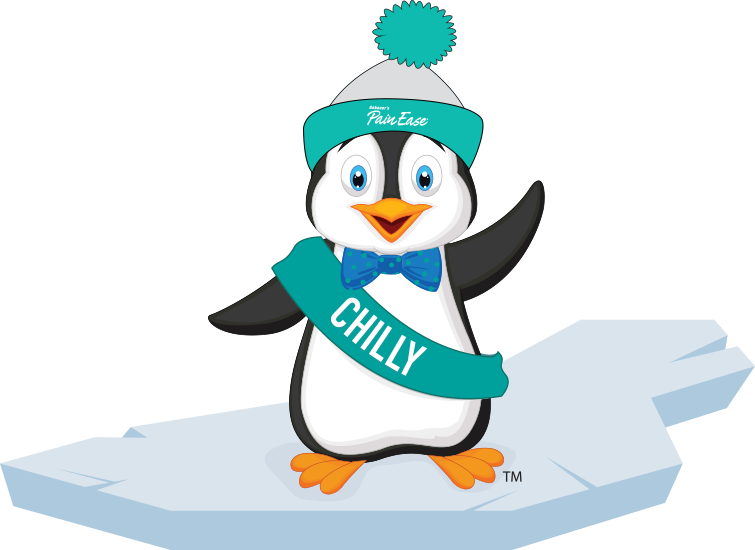 Download the free Chilly coloring sheets now! 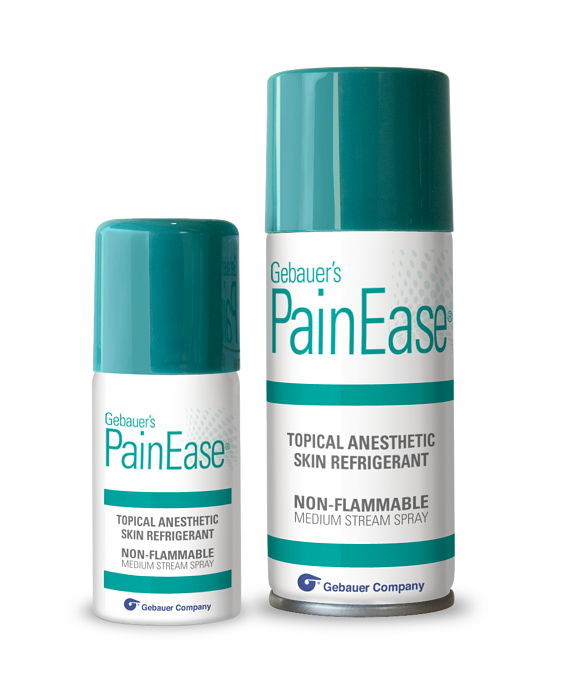 Gebauer's Pain EaseTM instant topical anesthetic skin refrigerant temporarily controls the pain associated with needle procedures and minor surgical procedures such as immunizations, allergy injections and suturing. The spray starts working immediately, reducing your child’s discomfort in just seconds. For more sensitive patients, Pain Ease can be applied using cotton. The technique is easy, click below to watch an instructional video. Consult your pediatrician when using on children 4 years old and younger. Do not use on large areas of damaged skin, puncture wounds, animal bites or serious wounds. Do not spray in eyes. Over spraying may cause frostbite. Freezing may alter skin pigmentation. Use caution when using product on persons with poor circulation. Apply only to intact oral mucous membranes. Do not use on genital mucous membranes. The thawing process may be painful and freezing may lower resistance to infection and delay healing. If skin irritation develops, discontinue use. CAUTION: Federal law restricts this device to sale by or on the order of a licensed healthcare practitioner. 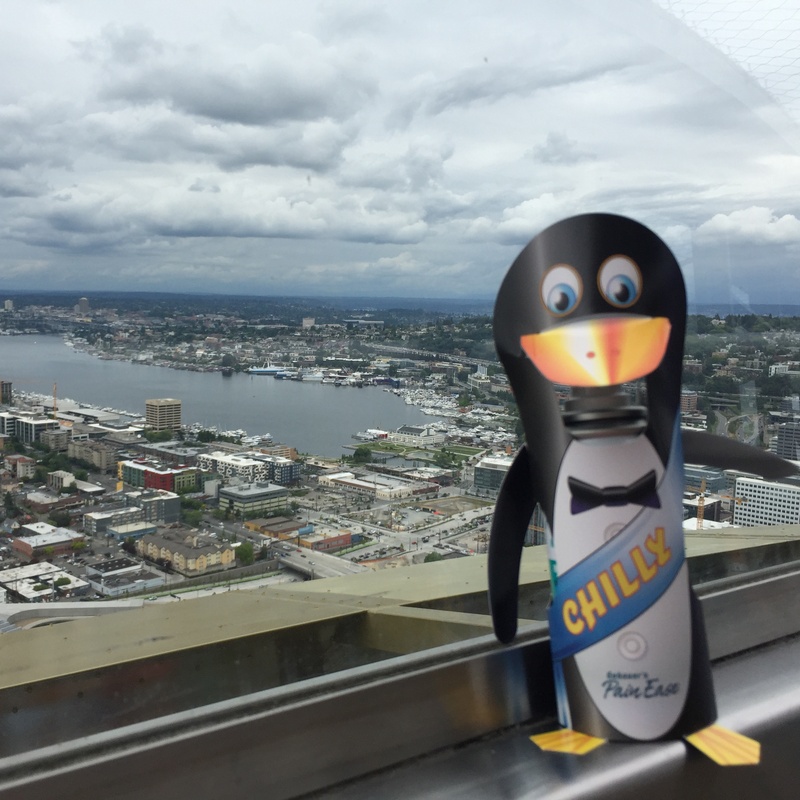 Follow Chilly's adventures with the hashtag #PEChilly on Facebook and Twitter!